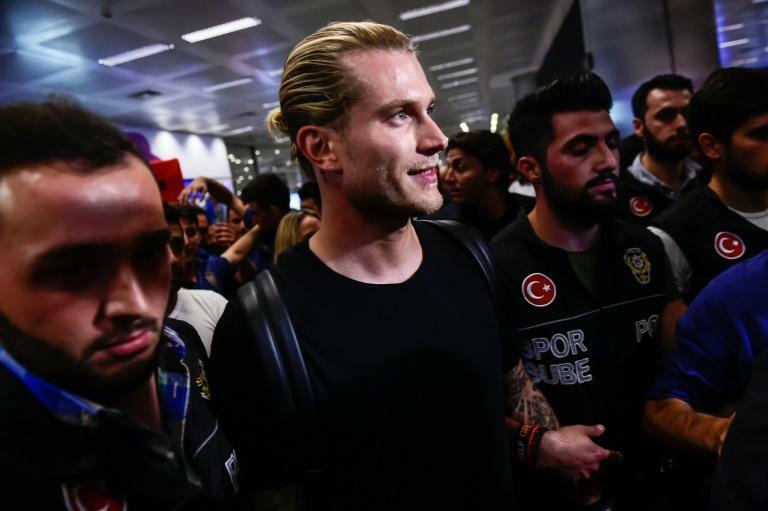 Goalkeeper Loris Karius on Saturday arrived in Istanbul to join Besiktas on loan from Liverpool, seeking redemption in Turkish football after his nightmare performance helped cost the English side the Champions League final. Liverpool announced earlier that Karius, whose first-team place had been taken by Brazilian Alisson Becker, was joining Super Lig contenders Besiktas on a two-year loan deal. The player was then flown by private jet from England to Istanbul's Ataturk International Airport, where he arrived late in the evening, an AFP photographer said. "Loris Karius has arrived in Istanbul," the Turkish club wrote on their official Twitter account, in their first confirmation of their biggest summer signing. The German, 25, who joined Liverpool in May 2016, is expected to undergo a medical followed by a signing ceremony early next week. "The 25-year-old is set to spend the remainder of 2018/19 and the whole of 2019/20 with the Super Lig outfit, who have started the new campaign with back-to-back league victories," Liverpool said in a statement on their website. "Everybody at LFC wishes Loris the best of luck during his loan spell." Media reports have indicated that Karius' loan deal could be converted into a long-term move but this has yet to be confirmed by the club. Addressing the potential move on Friday, Liverpool manager Jurgen Klopp said Karius had not been "sacked", adding: "It is only change. That's football, no problem with that." Klopp added on Saturday he had already said goodbye to his fellow German. "He was really looking forward to it and that's good for him. I really think Loris is a fantastic goalkeeper and he's a good age for a 'keeper," said Klopp. Karius wept on the pitch after his errors in Liverpool's 3-1 defeat against Real and the German still looked traumatised as he struggled again during pre-season. But the player and his manager later explained his errors in the Kiev final by saying he had been concussed. Despite the fumbles Karius made in the final, Besiktas' famously hard-core fan base have given his arrival a warm welcome on social media, excitedly tracking his flight as it made its way across Europe. Hundreds of fans then showed up at the airport to give him a traditionally raucous reception in Turkey as he stepped into the arrivals hall. Commentators in Turkey have said that the increasingly competitive Super Lig could be ideal for the keeper to rebuild his confidence, with Besiktas one of the best-run sides in the country and in the Europa League qualifying rounds. Besiktas, who won the Super Lig twice in a row until Galatasaray ended their run last season, have been looking for a top-class goalkeeper after the departure of their much-admired Spanish gloveman Fabri to Fulham. Klopp had moved quickly to replace Karius with Brazil's World Cup 'keeper Alisson from Roma in a £65-million ($83 million) deal. The 25-year-old has already impressed with clean sheets in his first three matches, bringing a new dimension to Liverpool's game with his distribution, as well as his shot-stopping skills.